Click the Month button to choose a different view of the calendar. 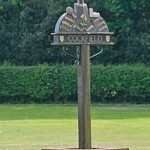 Please email enquiries@cockfield.org.uk if there is a local event you would like included in the calendar, or if you spot an error. If you are organising an event on a larger scale – perhaps a fete for example – and you want to avoid a date clash, check the Heart of Suffolk website, which lists many events taking place in the area.